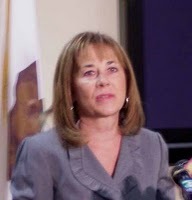 In a press release issued this morning that clarified staff reductions announced yesterday, Sacramento County District Attorney Jan Scully again took aim at the Sacramento County Board of Supervisors while at the same time bringing in the Sacramento County Public Defender’s Office budget into the fray. As part of Sacramento County’s $90 million budget reduction for the new fiscal year, the DA’s office had to absorb $6.9 million in reduced funding compared to the current budget. As a result, Scully announced [and clarified today] that by August 1, 42 employees, including 29 permanent and 13 temporary would be laid off, 13 vacant positions will go unfilled and nine positions being vacated by retirements will not be filled. Scully went on to point out that since 2009 the DA’s office staff has be reduced by 30 percent going from 484 employees to 345 employees. She noted the reductions includes the loss of 46 prosecutor positions. The DA seemingly implied that County Supervisors are not interested in public safety by stating that the current budget seeks to return funding at the Sacramento County Public Defenders Office to earlier levels. For it s part the Public Defenders Office staffing has gone from 160 in 2008 to its current level of 144. The public defenders office was able to maintain current staffing because it received funding of $2.9 million that in the past had gone to contract defenders. The county budget justified this shifting of funds from contract defense attorneys to the Public Defenders Office because contract defense attorneys deliver services at a higher cost. Among units facing reduction in the DA’s office are elimination of the major narcotics, vehicle theft and misdemeanor trial units. Staffing will be reduced in homicides, gangs and hate crimes, domestic violence and career criminal units. No Comment to " Scully Turns Up Heat, Says County Supervisors Not Interested in Prosecution "